We’ve already brought you a great interview with San Francisco’s indie-baroque-folk quartet Il Gato, and now we’ve got an additional treat for you: an on-the-fly performance of ‘On Feathers And Burnt Pine’ set against the baking glare of the sunshine and wide-open dusty backdrop. Enjoy! It’s always great to talk to interesting musicians, and BAMM was thrilled to have some recent face-time with the wonderful Erin Barra, a fully paid-up advocate of the ‘Digital Soul Revolution’ whose fresh new sound looks all set to take over the world (or at least the parts of the world with great taste in music). Things have been busy for Erin lately – her fantastic new album ‘Illusions’ has just been released on Joan Jett’s label, and singled out as a critic’s choice on iTunes (a little music service you might have heard of). She’s also due to speak at CMJ and The Future Of Music Coalition. Here at BAMM, we’re generally not the self-aggrandizing type. We don’t like to blow our own trumpet. Hell, we don’t need to – we’re confident that our fantastic selection of great music from emerging artists marks us out as a cultural force to be reckoned with, and one that is only going to go from strength to strength. Occasionally, though, it’s good to take stock of things. Many of you will have noticed lately that we’ve been unveiling lots of high-quality new stuff. Among other things, there’s our upcoming app, our phenomenal new global scene series, our first-rate series of long-form journalism, and our brand new ‘Food Fight’ discussion series. 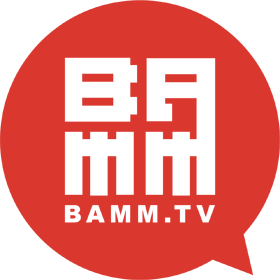 BAMM.TV is evolving, you see – becoming bigger and better than ever before. We’d like you to come on that journey with us. Lots of you have been following this blog and our regular releases already. To those fans, we’d like to say a very sincere thank you, and can assure you that the next few months will expand on the BAMM you know and love in many exciting ways. To those of you who are just tuning into the BAMM experience: welcome, and you’re in for a real treat. Remember – with each and every step we take, we’re aiming to a create a new model for the music industry. And that involves you. Become part of the BAMM world. We’re going to be introducing lots of ways to facilitate this interaction (especially with our upcoming app) very soon, and we can’t wait to see what you’re going to do with it. Along with the artists themselves, the fans are the lifeblood of any music industry – and we’re dedicated to our bold new vision for both. We’ve been throwing so much exciting news at you recently that it’s almost starting to become passe – but this little beauty is something very, very, very special indeed. As depicted in the awesome animation above (big thanks to Jonny Thomas for his stellar motion graphics work), you’ll soon be able to get your hands on an all-singing, all-dancing BAMM App for your mobile device. More info shortly, but for the time being allow this sneak preview vid to whet your appetite. The BAMM Wall Of Fame sure is filling up nicely; gathering the signature and imprint of every awesome new band who pass through our hallowed doors. The latest guys to add their everlasting touch to our mural of musical brilliance are Seattle-based pop fanatics Craft Spells. We decided to pitch them against out soon-to-be-legendary BAMM’S 5 Questions. How well did they do? You’ll just have to watch this video to find out. While we’re on a constant quest to bring you great new music on BAMM, we also like to take a closer look at the artists behind that same music. What are their artistic goals? Their inspirations? Their tourbus habits? Their favourite member of the Scooby Doo team? (Okay, so we made that last one up. We’ll just take it as standard that everyone likes Daphne). In the spirit of this, then, we hope you enjoy this exclusive interview, featuring BAMM’s Zach Ryan with San Francisco’s very own indie-baroque-folk masterminds Il Gato! For those of you worried that ‘Bang Data’ was going to be a piece of particularly lewd Star Trek fan-fiction, stay calm. We’re happy to report that Bang Data are infact a brilliant SF musical trio whose blend of bilingual rap-rock really deserves your attention. Fronted by Nicaraguan rapper Deuce Eclipse – who started his first rap group way back when he was in sixth-grade – they provide a heady brew of form-shifting and international flavour. Expect slick guitar, gritty synth, and cool electro-acoustic rhythms.